As of 09/24/17, St James has raised $1,966 for Hurricane Relief. Thank you for your support! Starting Sunday, September 10, St James Lutheran will be receiving a Change for a Change Offering to benefit victims of the recent hurricanes. For the entire month of September, all money collected by the children during the Noisy Offering will go to this effort. You can also give by making a check out to St. James and marked "Hurricane Relief". The offering will go to ELCA Disaster Response - which is a ministry of the ELCA that is supported through ELCA general giving (a portion of your weekly offering goes here) so that at times of crises - 100% of collections can go directly to the relief efforts. In the wake of Hurricane Harvey (and now Irma and then ? ), ELCA Disaster Response is committed to providing relief in the short as well as the long term. Lutheran Disaster Response’s affiliate is actively present, collaborating with community leaders and officials to initiate the proper responses, particularly the long-term recovery efforts. Together, we have a strong history of working with disasters in the Gulf Coast area. Recovery efforts are expected to take years, and Lutheran Disaster Response will be there to accompany those affected through every phase of this disaster. You can read more about ELCA Disaster Response on the ELCA website: click here. St. James invites you to stand by our neighbors on the Gulf Coast during this time. Your gifts ensure that our church will be able to provide help and hope for those left homeless or otherwise affected by this disaster for years to come. 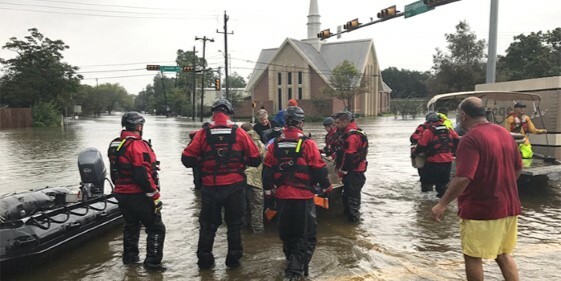 Again.... gifts to St. James (on behalf of Lutheran Disaster Response), designated for "Hurricane Response – United States" will be used entirely (100 percent) for these hurricane disasters.